Democracy is a device that assures us that we are governed, as we deserve, says Irish polemic Bernard Shaw. As the proverb emphasizes, democracy should be seen as a means to earn a government that we want to have for us. In the same light, the voting process that we are pursuing to choose our leaders is as important as it gets. Therefore, the same attention should be paid to the electoral process, as we pay for choosing a doctor for our health or an engineer for our house. And so here is the complete process of applying for Voter ID Card in Himachal Pradesh. Any citizen of India who is 18 years of age or older is entitled to apply for Voter ID Card. For use in the HP state, the person must belong only to HP. If you are a resident of HP, read on and see how you can take the card in a few simple steps. Nowadays, India is moving more towards digitalization, so it is no surprise that most of the application procedures are available online from the government of India. To apply for a new electoral card in Himachal Pradesh, follow the procedure below. The official website for new voters in Himachal Pradesh is ceohimachal.nic.in. This is also the website of Chief Electoral Officer or CEO of Himachal Pradesh. At the top of the site, you'll see a blue tab with some options like Home, About Us etc. Go to the right option that reads online Voer registration and click on it. A list of the application forms appears on the screen. From the list of forms appeared, select form 6. 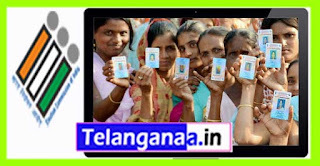 Form 6 is required by the Electoral Commission of India for new voters. After opening the form, you will be redirected to the National Voters Services portal www.nvsp.in/Forms/Forms/form6 to complete the form. To open the form, you can also go directly to this link. The form is offered in Hindi as well as in English. It will ask for basic information about you such as your name, gender, date of birth, address, photo etc. Fill in the details and click submit button. After submitting the form, you will receive a reference ID. To track the status of your application, visit www.nvsp.in/forms/Forms/TrackStatus and enter your reference ID. To use voter ID card in Himachal Pradesh via offline process, the procedure goes as follows. Go to ceohimachal.nic.in and click the Forms tab from the menu bar on the left. From the list of forms, choose Form 6 and download it. Next, you can fill out and fill out an expression of the form. It is always a good idea to fill the form in block letters. This makes it neat and easy to read. Once the form is filled, add it with all the documents as mentioned in it. Then you can find a nearby office of the Election Commission of India and submit your form there. As soon as the BLOs of the office have passed through your data, they will give you a confirmation. And within two to three weeks you receive your Voter ID Card by mail. 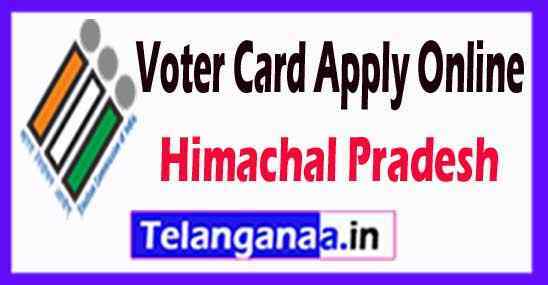 If you have further questions on the Voter ID Card application in Himachal Pradesh, you can visit the FAQ section on their website or simply contact us in the comment section below.